For individuals who are not savvy in the technology field, selecting between SSD, SSHD and a HDD hard disk can seem like a confusing task. There are a variety of different factors that determine which storage option will work best. To begin with, individuals should understand what these terms mean. HDD is an acronym that stands for a hard disk drive. SSD means solid state drive, and an SSHD is a solid state hard drive. Each of these storage devices offers a different level of performance and quality. When it comes to handling capacity, HDD hard disk offers the most capacity for storing data. SSHD allows users to have a decent amount of capacity for a fairly decent price range. For low-capacity options, SSDs are fairly affordable. A high-capacity SSD can set the owner back a pretty penny. Beyond basic capacity, each of these options is available in a different format. 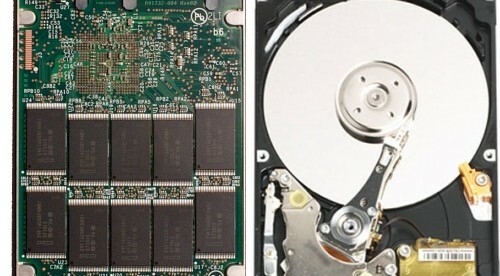 SSD are the smallest of the three while HDDS are 7 mm to 9.5 mm in design. An SSHD’s smallest size is 5 mm. Normally, additional storage space will require a maximum of 10% of the battery life. Out of the three options, an SSD is the most efficient, followed by SSHD and HDD. The speed of the different options depends on the type of tasks that are performed. An SSD will be extremely speedy for booting and multitasking. And while an HDD is fast for every task, an SSHD excels at launching and booting data. All three of the devices offer similar failure rates, although an SSD has a better durability. The most affordable, per gigabyte, is the HDD. For low capacity options, the SSD is the most affordable of the three. In comparison, an SSHD has a slightly higher cost per gigabyte than an HDD.